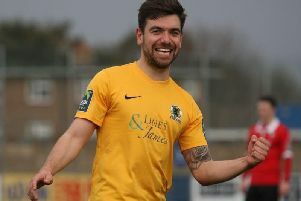 Pat Harding has been voted as Burgess Hill Town's Supporters' Player of the Season. 'Super Pat' has had another great season despite the Hillians avoiding relegation on the final day of the season. This is Harding's sixth consecutive season at the Green Elephants Stadium and he has scored 109 goals in 334 games. The club broke the news on twitter and Crawley Town and former Hillian Dean Cox tweeted: "Congratulations mate." Chapman: "The support has got better and better each season"
Hassocks end season in relegation zone - but what happens next?